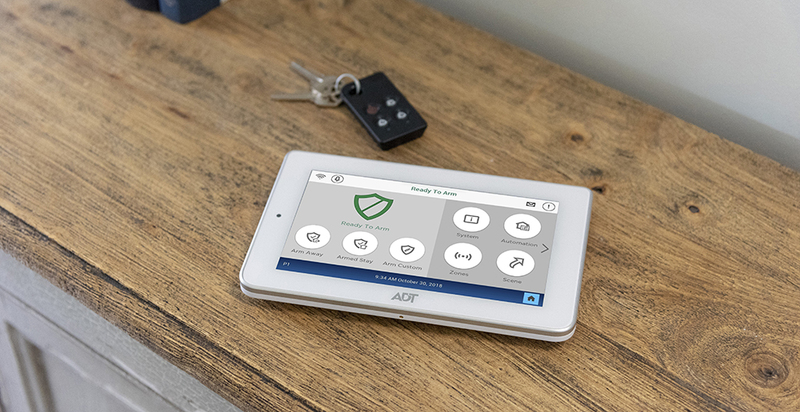 ADT announced a brand new home security system at CES, the 'Command and Control'. It consists of a 7-inch touchscreen hub, a phone app, and integration with Google Assistant and Alexa. See our full post for more details. 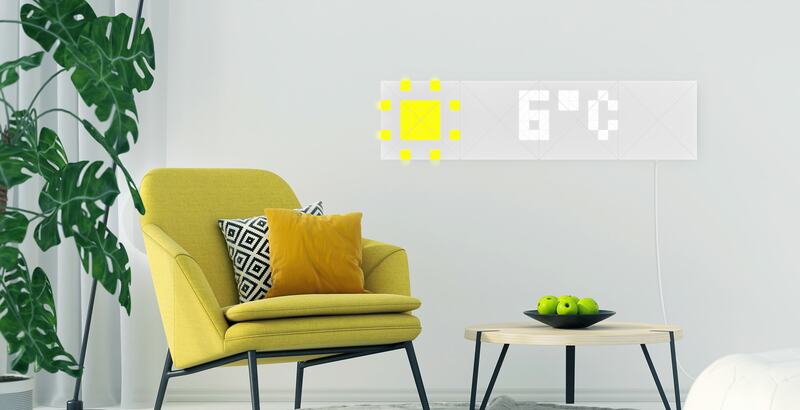 This wall-mounted LED smart light has 32 triangular sections, each of which can be set to different colors. It can also display social media counts, sales figures, the weather, and other bits of information. The unit can also be controlled with Google Assistant and Alexa — see our post for more info. There are plenty of smart light switches, but what about smart fan switches? Lutron made one called 'The Caseta by Lutron Fan Speed Control,' which isn't at all a pretentious name for a fan switch. It supports four fan speeds and has integration with Google Assistant. First Alert has been making smart smoke detectors and other similar gadgets for a while, but it announced a new video doorbell at CES. It has a resolution of 1080p, a 180-degree lens, night vision, two-way audio, and integration with Google Assistant and Alexa. Google Glass never made its way into the consumer market, but this might be the next-best thing. It can overlay GPS directions, menus, weather information, and more. Vuzix plans to add support for Google Assistant soon. ROCHESTER, N.Y., Jan. 2, 2019 /PRNewswire/ -- Vuzix® Corporation (NASDAQ: VUZI), ("Vuzix" or, the "Company"), a leading supplier of Smart Glasses and Augmented Reality (AR) technology and products, is pleased to announce that the Company's Vuzix Blade® AR Smart Glasses Commercial Edge has received a CES 2019 Innovation Award in recognition of its outstanding design and engineering. Vuzix Blade provides a natural view of the real world while concurrently allowing AR content to be simply viewed and interactively managed, all without having to hold a phone in your hand. The Vuzix Blade Smart Glasses with their transparent optics were designed to overlay visual information such as GPS mapping directions, restaurant menus, weather information, event happenings, stock information, video conferencing, sports updates, health metrics, patient data, streaming video and more. Vuzix Blade utilizes the company's proprietary see-through waveguide technology that allows users to experience location aware content while keeping their phones in their pocket. This exemplifies a natural evolution of where AR Smart Glasses are headed and it is available today in a comfortable form factor. The Vuzix Blade not only delivers new hands-free location aware solutions, but also content and productivity tools for both consumers and business-oriented applications. 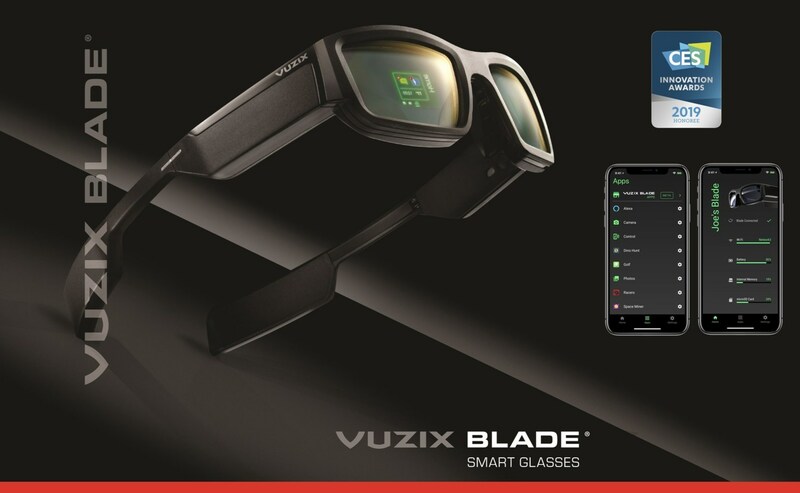 The combination of the Blade Commercial Edge Software Suite and the Vuzix Blade Companion App, which is available for download from from the App Store or Google Play, opens up the communication links directly between the Vuzix Blade and connected Android or iOS devices. Demonstrations of "A Day in the Life with Blade," including the integration of AccuWeather forecasts will occur at the Vuzix booth (Tech East LVCC, Central Hall - Vuzix Corp. Booth #15036) at CES from January 8-11. The Vuzix CES booth will also feature a demo area for visitors to experience AR enhanced golf training by Oncore Golf, Amazon Alexa and Google Assistant on the Vuzix Blade, as well as several other to be announced cutting edge interactive demonstrations. Interested members of the media can reference the Company's 'Day in the Life with Vuzix Blade AR Smart Glasses' marketing awareness video that provides an overview of expected device features associated with everyday real-life situations as well as a representative sample of Vuzix Blade partners. Vuzix is a leading supplier of Smart-Glasses and Augmented Reality (AR) technologies and products for the consumer and enterprise markets. The Company's products include personal display and wearable computing devices that offer users a portable high-quality viewing experience, provide solutions for mobility, wearable displays and augmented reality. Vuzix holds 133 patents and patents pending and numerous IP licenses in the Video Eyewear field. The Company has won Consumer Electronics Show (or CES) awards for innovation for the years 2005 to 2019 and several wireless technology innovation awards among others. Founded in 1997, Vuzix is a public company (NASDAQ: VUZI) with offices in Rochester, NY, Oxford, UK, Barcelona, Spain and Tokyo, Japan. Certain statements contained in this news release are "forward-looking statements" within the meaning of the Securities Litigation Reform Act of 1995 and applicable Canadian securities laws. Forward looking statements contained in this release relate to Vuzix Blade Smart Glasses, its features and applications, as well as among other things including the Company's leadership in the Smart Glasses and AR display industry. They are generally identified by words such as "believes," "may," "expects," "anticipates," "should" and similar expressions. Readers should not place undue reliance on such forward-looking statements, which are based upon the Company's beliefs and assumptions as of the date of this release. The Company's actual results could differ materially due to risk factors and other items described in more detail in the "Risk Factors" section of the Company's Annual Reports and MD&A filed with the United States Securities and Exchange Commission and applicable Canadian securities regulators (copies of which may be obtained at www.sedar.com or www.sec.gov). Subsequent events and developments may cause these forward-looking statements to change. The Company specifically disclaims any obligation or intention to update or revise these forward-looking statements as a result of changed events or circumstances that occur after the date of this release, except as required by applicable law. Last year, Dish added Google Assistant compatibility to its lineup of Hopper DVRs. You could ask Assistant to turn off/on the box, change the channel, rewind a show, and so on. At CES, the company announced that Google Assistant will be baked directly into its DVRs. The Hopper, Joey, and Walley boxes will all get Assistant — as long as they also have a voice remote. ENGLEWOOD, Colo., Jan. 8, 2019 /PRNewswire/ -- DISH today announced that it's building the Google Assistant into its Hopper family of receivers. In the coming months, customers will be able to use the DISH voice remote to ask the Assistant to control smart home devices, provide weather and news updates, display photos and more. This new integration builds on the DISH voice remote's existing ability to control the TV experience, including navigation, search and content selection. Hopper with the Google Assistant built-in will join DISH's voice control technology suite, which includes its July 2018 integration with the Google Assistant that requires users to pair Hopper with a Google Assistant device, like speakers, phones and more, to control their TV. "Our customers love the convenience of voice control, so we're expanding functionality to make it even more powerful," said Niraj Desai, DISH vice president of product management. "As a DISH subscriber, you will soon get the Google Assistant and all its incredible features – like adjusting your thermostat, managing your calendar or simply asking for the latest news – for free, right on your TV." Customers with a DISH voice remote and broadband-connected Hopper (all generations), Joey (all models) or Wally will have access to the Google Assistant. New DISH customers receive the voice remote with all Hopper family receivers at no extra cost; current customers without a voice remote can upgrade for $20. Since 1980, DISH has served as the disruptive force in pay-TV, driving innovation and value on behalf of consumers. By listening to customers and taking bold steps to make TV better, DISH's award-winning entertainment technology and in-home installation services remain unmatched by competitors. DISH continues to push the industry forward with its over-the-top television service, Sling TV. DISH Network L.L.C. is a wholly owned subsidiary of DISH Network Corporation (NASDAQ: DISH), a Fortune 250 company. Visit www.dish.com. TP-Link wasn't the only company that brought in-wall smart outlets to CES. Leviton revealed its own 'Decora' Wi-Fi outlet, compatible with both Google Assistant and Alexa. If you don't want another device connected to your home internet, Leviton is also making a Z-Wave model. Both versions are expected to go on sale in mid-2019. LAS VEGAS, Jan. 8, 2019 /PRNewswire/ -- Leviton, a leading provider of wireless smart home technology and electrical wiring devices, announced today development of two new devices for homeowners to control their lamps, small appliances and other electronics – the Decora Smart Wi-Fi In-Wall Receptacle and the Decora Smart Z-Wave Plus In-Wall Receptacle. The Z-Wave Plus model integrates with compatible Z-Wave automation hubs, gateways and bridges, and the Decora Smart Wi-Fi receptacle will be the newest addition to the Decora Smart Wi-Fi family of lighting controls. The Leviton Decora Smart Receptacles are perfect for new home builds or can easily replace an existing outlet in any home – simply exchange any standard outlet for the new Leviton Decora Smart Receptacle. The attractive visual aesthetic fits within the familiar Leviton Decora style, especially when used with screwless wallplates. Each receptacle also includes tamper resistant shutters to meet installation code and provide additional protection from electrical shock. Multiple Decora Smart Receptacles can be installed within the same residence as part of a whole home lighting control system and can provide a variety of control possibilities. For instance, a homeowner can use an app to turn on a fan plugged into the smart outlet in an office while a smart receptacle in a bedroom could provide on/off schedules for a bedside lamp. For new construction, electricians can install a Decora Smart Receptacle in a kitchen to simplify control of a coffee pot or tea kettle, so homeowners have peace of mind that they can turn these appliances off even after they've left the house. "Leviton has long-offered automated in-wall receptacles, so we're eager to announce a fresh aesthetic featuring Z-Wave Plus for our customers using a Z-Wave hub," said Tom Morgan, director of product management for Leviton Energy Management, Controls & Automation. 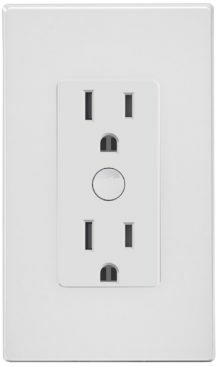 "On the heels of the successful DW15P Mini Plug-In Launch, Leviton is excited to announce the Decora Smart Wi-Fi In-Wall Receptacle for customers looking to build an integrated smart lighting system," said Aaron Ard, senior director of engineering for Leviton Energy Management, Controls & Automation. "While smart plugs are attractive for their ease of use, in-wall devices offer a built-in smart home solution for homeowners that homebuilders can recommend and their electricians can install." Homeowners can create schedules and scenes with the Decora Smart Wi-Fi Receptacle and other Leviton Wi-Fi lighting controls when they are enrolled through the award-winning My Leviton app – no hub required. Simply install the Wi-Fi outlet and connect with the My Leviton app to begin automating devices or to connect with Works with My Leviton partners such as Nest, If This Then That (IFTTT), Amazon Alexa and Google Assistant. The Decora Smart Wi-Fi Receptacle and the Decora Smart Z-Wave Plus Receptacle are both expected to be available mid-2019. For more information on Leviton Decora Smart Wi-Fi and Decora Smart Z-Wave Plus, visit www.leviton.com/CES. Electrical Contractors may purchase Decora Smart products, including the upcoming smart receptacles, from their Preferred Distributor and Authorized Leviton Retailers. This isn't your ordinary smart light switch — it's a light switch with a tiny built-in Alexa speaker. You can also turn the connected lights on or off from an external Google Assistant or Alexa device. This is also expected to become available in mid-2019. LAS VEGAS, Jan. 8, 2019 /PRNewswire/ -- Leviton, a leading provider of wireless smart home technology and electrical wiring devices, announced today development of the new Decora Voice Dimmer with Alexa built-in. This all new Wi-Fi lighting control device combines full-range dimming and 3-way capability with embedded voice control via Alexa, which works with the My Leviton app and Decora Smart Wi-Fi devices to create a whole-home lighting control system. The Decora Voice Dimmer with scheduling and control from anywhere via the My Leviton app is an ideal light switch replacement to smarten up entry ways, living rooms, laundry rooms, playrooms, bedrooms, bathrooms, kitchens – anywhere you want to use your voice to control the lights, without any extra hardware or hassle. The Alexa integration is the most exciting feature of the upcoming Leviton Decora Voice Dimmer, which incorporates the intelligence and capabilities of the voice service into any space via the in-wall dimmer. Homeowners can now just use their voice to dim and brighten lights, listen to the news, get the weather, control smart home devices, and more – all through the Decora Voice Dimmer. Decora Voice doesn't take up counter or desk space, and can replace any standard light switch with a neutral wire in new or existing homes. "Whether you're in the middle of cooking dinner and you need to shine more light on the stove top, or you're relaxing on the couch and don't want to miss the next scene, having hands-free voice control of your lighting is easier than ever with Decora Voice," said Tom Leonard, vice president of marketing and product management for Leviton Energy Management, Controls, & Automation. "With this new voice-powered lighting control solution, Leviton is working to declutter the home by adding more intelligence to your common light switch – from maintaining schedules during temporary internet outages to integrating voice control." "We're thrilled to work with Leviton and provide customers with another way to experience the power of voice at home," said Pete Thompson, vice president of the Alexa Voice Service. "With Alexa built-in, you not only have hands-free control of lighting but can manage smart home devices, ask questions, access tens of thousands of skills, and more." The Decora Voice Dimmer can be paired with the My Leviton app and Decora Smart Wi-Fi devices to create a whole home lighting control system that enhances the smart home experience, with features that include: voice control, app control from anywhere, schedules, lighting scenes, and expanded capabilities with other compatible products via the new Works with My Leviton platform. Install a Decora Voice Dimmer anywhere in the home and say, "Alexa, Turn On All Lights", to have all the Decora Smart Wi-Fi light switches, dimmers, and smart plugs throughout the home react appropriately. Create a schedule for the Decora Voice Dimmer along with other Decora Smart Wi-Fi devices to dim, brighten, turn on, or turn off throughout the day by easily setting a sunrise, sunset, or time-specific schedule for each device. Add the Decora Voice Dimmer to any lighting scene, such as "Movie Time," so the Decora Voice and Decora Smart Wi-Fi devices work together to illuminate the room for the best viewing experience. Use the My Leviton app from anywhere to dim or brighten lights connected to Decora Voice. Take the experience even further by leveraging Works with My Leviton partnerships including Google Assistant, Nest, Samsung SmartThings, IFTTT and more to build out a complete voice-controlled smart home. At its core, the hub-less Leviton Decora Voice Dimmer offers best-in-class lighting control performance using Leviton's "Off Means Off" technology for low-wattage LED bulbs along with custom settings for fade rates, bulb types, and more. Also, just like Leviton Decora Smart Wi-Fi devices, the Decora Voice Dimmer includes 3-way compatibility, providing dimming control of the same fixture from multiple locations, such as a stairway or a kitchen with multiple dimmers that control the same set of light bulbs. Leviton has partnered with the best in the industry to build Decora Voice, including NXP with its high-performance processor and Harman to develop and optimize device acoustics. Decora Voice was designed and engineered by Leviton's Innovation Center in the USA. The Decora Voice Dimmer is expected to be available mid-2019. For more information on Leviton's Decora Smart Wi-Fi and Decora Voice product offering, visit www.leviton.com/CES. Leviton's final CES announcement was this 4-button controller, which can be configured to different actions in the 'My Leviton' mobile app. You can turn all the lights in your house on or off with a press, or switch to a pre-defined scene. This is expected to be released in mid-2019. LAS VEGAS, Jan. 8, 2019 /PRNewswire/ -- Leviton, a leading provider of wireless smart home technology and electrical wiring devices, announced today development of a new Decora Smart 4-Button Wi-Fi Controller. The sophisticated in-wall solution provides more options for controlling multiple Decora Smart Wi-Fi devices, including room scenes and whole house lighting activities. An addition to the Decora Smart Wi-Fi product family, the 4-Button Controller can be paired with the My Leviton app and Decora Smart Wi-Fi devices to create a whole home lighting control system. As part of the My Leviton platform, the 4-Button Controller uses the award-winning My Leviton app, allowing electrical contractors or homeowners to easily orchestrate a home's lighting scenes for "All Off", "Movie Time" or activities such as "Go to Bed". The custom lighting scenes can include any existing Decora Smart Wi-Fi product, including the recently announced Decora Voice Dimmer with Amazon Alexa Built-In. Scenes can be activated easily via the new 4-Button In-Wall Controller, the My Leviton app or with your voice using Amazon Alexa or Google Assistant. Multiple 4-Button Controllers can be utilized within the same home, most often placed in the foyer, master bedroom, garage, living room and other commonly used spaces to provide single-button convenience. 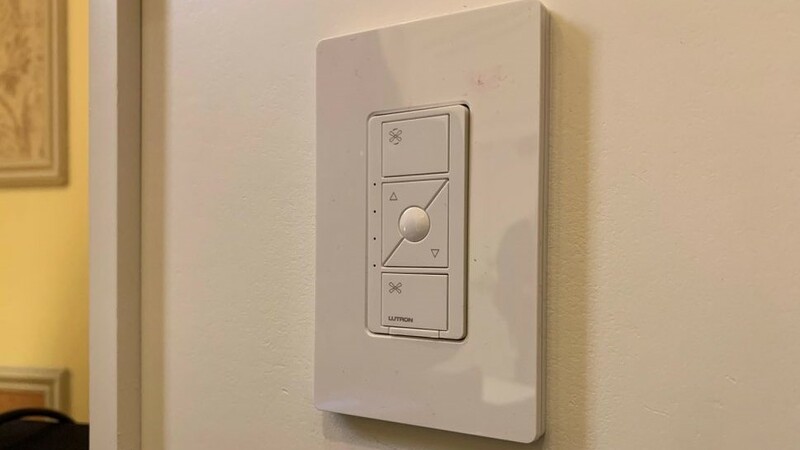 Many users will enjoy the simplicity of pressing an "All Off" button which could turn off every connected light in the house. Others will opt to customize their buttons for different lighting needs such as: "Food Prep", "Dinner", "Clean-Up" or "Party Time", with each button offering a different lighting scene to set the mood for each occasion. "Custom scene interfaces have been an attractive option for many years in high-end homes, so Leviton is thrilled to simplify the installation and set-up through Wi-Fi to bring this formerly cost-prohibitive feature to every home," said Tom Morgan, director of product management for Leviton Energy Management, Controls, & Automation. "While voice control and apps are wonderful additions to the home, the 4 button keypad bridges the gap, allowing the user to enjoy different lighting scenes with the simple push of a button." Using the My Leviton app, Decora Smart Wi-Fi product line provides time-based schedules, free remote control from anywhere and optional integrated voice control with Amazon Alexa and Google Assistant. Winning over two-dozen awards since its launch, the entire Decora Smart product family, including switches, dimmers and other plug-in modules, provides even further customization with home and away occupancy modes, auto-shutoff countdown timers, integration with Nest, If This, Then That (IFTTT) compatibility and multi-home support. Upon downloading the My Leviton app for Android and iOS, users can add Leviton Decora Smart Wi-Fi or Decora Voice devices and create schedules and activities based on specific times or on-demand events that can run manually at their discretion. Advanced settings are also available for professionals and consumers alike to adjust fade rates, brightness levels, bulb types, LED functionality, countdown timers and more, to personalize every aspect of a homeowner's environment for each fixture, room and residence. The Decora Smart with Wi-Fi 4-Button Controller is expected to be available mid-2019. For more information on Leviton Decora Smart Wi-Fi, visit www.leviton.com/CES. Electrical Contractors may purchase Decora Smart products, including the upcoming 4-Button Controller, from their Preferred Distributor. 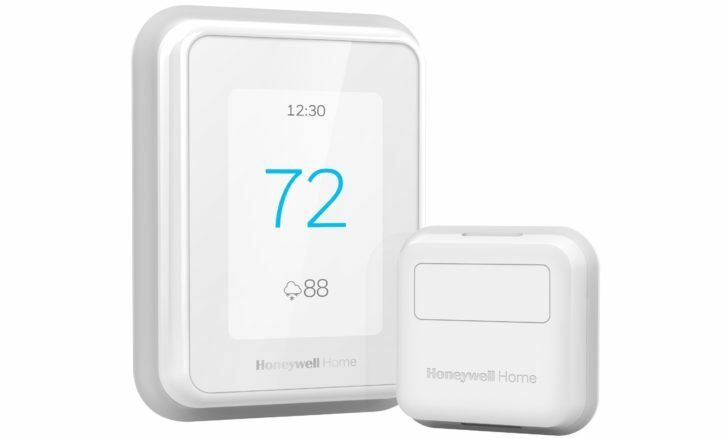 No, these aren't the official line of thermostats from YouTube channel T-Series — they're just Honeywell's latest smart home products. The T9 is designed for regular consumers, with features like people detection (it won't heat unoccupied rooms), a 200-foot range, and Google Assistant/Alexa integration. The T10 is intended to be installed by contractors and other professionals, and includes humidity and ventilation controls. The T9 Smart Thermostat will be available soon for $199.99. The T10 will only be offered to professional heating and cooling contractors. Additional smart room sensors will be sold in packs of two for $79.99. A CD player? What year is this? 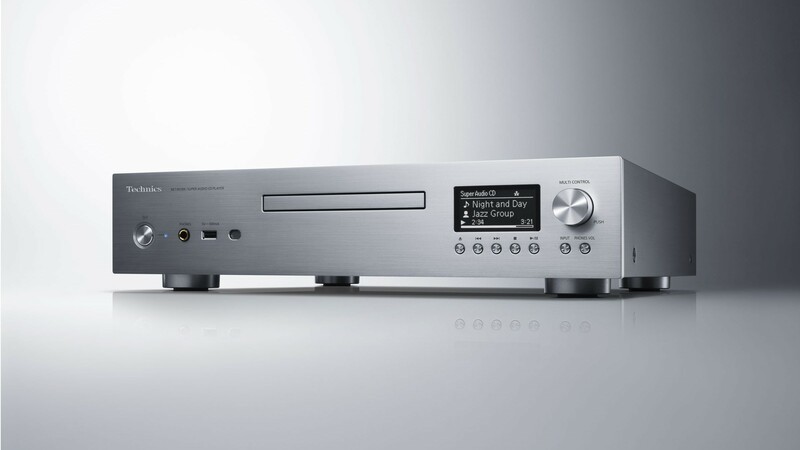 Panasonic announced the premium SL-G700 "Network / Super Audio CD Player" at CES, which features a high-grade D/A converter, a discrete AMP module, digital noise isolation, and more. In addition to playing CDs, it can also act as a receiver for Bluetooth, Apple AirPlay, and Google Chromecast. 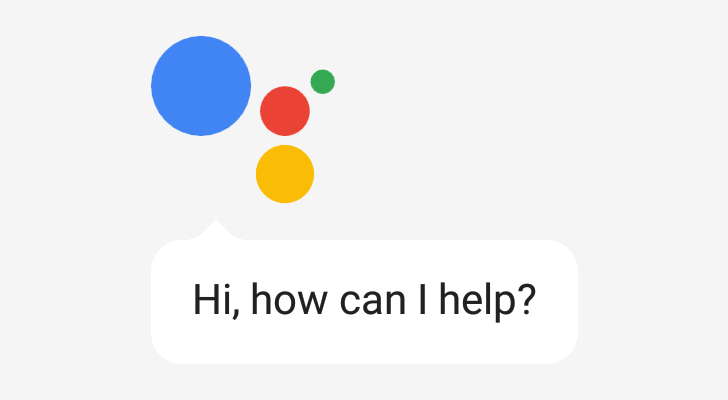 Panaonic mentions some level of integration with Google Assistant. Pricing and availability was not announced. If you want a smart mirror, and the above-mentioned Kholer Verdera mirror is slightly out of your price range, Simplehuman has a smaller (and cheaper) option. The 'Sensor Miror Hi-Fi Assist' is a small bathroom mirror with the company's "proprietary tru-lux light system" and a custom 2.5-inch accoustic driver. In addition to functioning as a Bluetooth and AirPlay 2 speaker, it also has Google Assistant built-in. The mirror will go on sale this spring for $400, and a version without Google Assistant will be $350. LAS VEGAS, Jan. 7, 2019 /PRNewswire/ -- Sight meets sound as simplehuman today announces its latest product innovations, the Sensor Mirror Hi-Fi and Sensor Mirror Hi-Fi Assist, at the Consumer Electronics Show (CES) in Las Vegas. The two new sensor mirrors combine the best lighting with quality audio, expanding its line of vanity mirrors and signifying the company's continued disruption in the cosmetic accessories category. "We successfully designed our first generation of mirrors by creating the best, most color-correct view," said simplehuman CEO and Founder Frank Yang. "The new Sensor Mirror Hi-Fi and Sensor Mirror Hi-Fi Assist models dramatically raise the bar by combining our tru-lux light with superb audio to enhance your morning routine — from makeup application to listening to your favorite music, our next generation of mirrors were developed to revolutionize your morning routine." 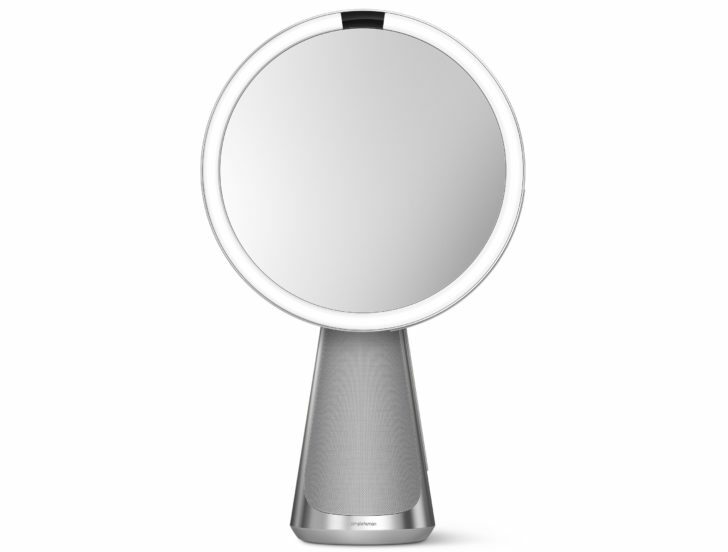 Both mirrors boast simplehuman's proprietary tru-lux light system with 95 CRI (color rendering index), which closely simulates natural sunlight shedding enhanced visibility on the subtle variations in makeup color. Both models introduce "night shift," a first-to-market setting that shifts to softer, more-relaxing light to promote better sleep, in addition to "candlelight" and "nightlight" modes offering greater variation. As for audio, the mirrors' finely-tuned optimum-acoustics speaker delivers crystal-clear high-fidelity sound. Its custom Danish-designed 2.5-inch acoustic driver produces smooth, well-balanced sound that fills up the entire room. The connected audio capability streams sound over Bluetooth® or Wi-Fi for devices operating AirPlay® 2, which allows for uninterrupted texts and calls while listening as well as pairing with other speaker systems in the home. Both models work in tandem with the simplehuman app, which unlocks additional features for setting alarms as well as increased control over sound, lighting and sensor activity. And the Sensor Mirror Hi-Fi Assist model works with the Google Assistant, enabling hands-free vocal commands of certain audio functions. "The mirror automatically lights up when you approach so we integrated the Google Assistant as a second layer of access to easily get the weather, news and other useful intel with just voice commands," Yang said. "It's extremely intuitive – now you can start the day stress-free while getting ready with tru-lux lighting." Sensor Mirror Hi-Fi and Sensor Mirror Hi-Fi Assist will be available in spring 2019 for a suggested retail price of $350 and $400 respectively at simplehuman.com and brick-and-mortar retailers nationwide. Since 2000, simplehuman has reinvented tools for efficient living to elevate everyday life through design and innovation. With more than 250 patented innovations, simplehuman has pioneered the smart home category with its international award-winning trash cans, sensor mirrors, and kitchen and bath accessories that push the boundaries of intuitive user experience and function. The simplehuman collection is available at a wide array of retailers and at simplehuman.com. We've already mentioned a few smart water monitors, but Phyn also announcd one at CES. The 'Phyn Plus' is aimed at the European market, and can shut off your home's main water supply if it detects a leak. The expected price is €799 including VAT + installation, through a network of partner installation companies. LAS VEGAS, Jan. 7, 2019 /PRNewswire/ -- Phyn, the leading intelligent water company, today announced its industry-leading debut product, the Phyn Plus, Smart water assistant + shutoff, will soon be available across Europe starting with Finland, France, Spain and Sweden with the rest to follow. Phyn Plus is a single connected smart water monitoring device that detects leaks anywhere in a home and can automatically shut off the main water supply to prevent costly damage. Phyn Plus also monitors water use, giving homeowners insight into how much water their homes and water using fixtures are consuming so they can conserve and save. Phyn Plus is the first device of its kind to launch in Europe. "Supported by nearly a decade of R&D, Phyn is dedicated to advancing its technology to deliver the most accurate and reliable intelligent water monitoring solution and leak detector available on the market today," said Ryan Kim, CEO of Phyn. "Our team is excited to expand Phyn Plus' availability across Europe and help consumers take the next step in making their homes and other properties truly intelligent. By protecting their homes from leaks, users can rest assured they are doing their part to solve the global challenges facing water scarcity." Phyn Plus will be available for purchase in Finland, France, Spain and Sweden coinciding with its debut at ISH in Frankfurt, Germany on March 11. ISH is the world's leading trade fair focusing on the responsible management of water and energy for buildings. The device is expected to be sold for €799 incl. VAT + installation, through the professional network of Uponor partners. Consumers can sign up to be the first to get Phyn when it launches in their area on local country web pages. "We are delighted to bring Phyn Plus into the European market with support of our experienced plumbers and water specialists' network," said Jyri Luomakoski, President and CEO, Uponor. "Phyn's superior intelligent water technology enables Uponor to deliver exceptional smart home water monitoring across Europe and to proactively help homeowners advance their plumbing into the digital era." Additionally, Phyn Plus is expanding its smart home capabilities by integrating with Amazon Alexa. Homeowners can now ask Alexa to provide updates on their water consumption and even turn on and off their water (through Phyn Plus' shutoff valve) using voice commands. Integration with Google Home will be available in Q2 2019. To address commercial opportunities, Phyn is also announcing the Phyn Dashboard. This web-based portal gives property management companies, homeowner associations, insurance companies, utilities and builders the ability to understand water use, mitigate losses from leaks and address water conservation and sustainability mandates across their portfolios of properties. The Phyn Dashboard will be made available to select Phyn partners in Spring 2019. Phyn is exhibiting at CES at the Belkin International booth in LVCC, South Hall, Booth #30512. Phyn is the leading intelligent water company, bringing solutions to market that help people protect their homes, conserve water and save money. Built upon nearly a decade of research and patented technological innovation, Phyn is poised to change the way consumers interact with water and help solve the major challenges threatening the world's supply of clean, healthy water. Phyn is backed by Belkin International, a global leader in consumer technology, Networking, Smart Home and Smart City, and Uponor, a leading provider of plumbing for residential and commercial spaces worldwide. Uponor Corporation is listed on Nasdaq Helsinki, Finland. Phyn is headquartered in Torrance, Calif. To learn more, visit www.phyn.com. Kitchen appliance company Gourmia announecd several smart appliances at CES, all of which can be controlled with Google Assistant and Alexa. Some of the new products include the 7-Quart Digital Air Fryer (GAF678), the 11-in-1 Deluxe MultiCooker (GWCM695), and the 10-Cup Coffee Maker and Grinder (GCMW4750). You can also use the Mia mobile app to manage cook modes, temperatures, and recieve alerts. BROOKLYN, N.Y., Jan. 3, 2019 /PRNewswire/ -- Gourmia™, a designer and manufacturer of innovative countertop kitchen appliances, announced that it will be presenting the latest additions to its Internet of Things (IoT) award-winning line of smart kitchen appliances at upcoming CES 2019, taking place in Las Vegas January 8-11, 2019. Each of the new smart kitchen appliances may be controlled with the company's mobile kitchen app "Mia" and any iOS or Android device, and are compatible with Google Assistant and Amazon Alexa. Gourmia's new GAF678 digital all-in-one air fryer also works as rotisserie and dehydrator. It can be controlled with the company's mobile kitchen app and any iOS or Android device, and is compatible with Google Assistant and Amazon Alexa. "We want to be at the forefront of consumers' experience in connected, smart cooking," stated Gourmia founder Heshy Biegeleisen. "It is important to us that we offer appliances that make sense to consumers or solve a need for them. And we can do that with our special platform that allows us to make any of our products smart. Our Internet of Things products offer some of the most innovative, easy-to-use kitchen appliances, that make cooking enjoyable, hassle-free, and smart." Gourmia IoT products provide users with three options on how to prepare their food or beverage. 1) They can go smart and use the exclusive Gourmia mobile kitchen app Mia that allows users to do a myriad of cooking steps from virtually anywhere through their mobile iOS or Android devices. With Mia, users can remotely manage cook modes, cook times and temperatures, find recipe ideas, and even receive alerts. Mia is free and available at the iTunes Store and Google Play Store. 2) Or they can simply say, "Alexa, ask Mia" or "Hey Google, ask Mia" to perform a specific step in using their Gourmia appliance. And it's done automatically and quickly. 3) Or if the user is old school or a hands-on type of individual, they can – gulp – do it themselves manually. Gourmia will be showcasing the following IoT products at CES 2019. 7-Quart Digital Air Fryer (GAF678)A powerhouse, all-in-one air fryer, rotisserie, and dehydrator that helps families eat healthy, as it air fries, heats, roasts, and dehydrates food without the fat and calories that come when cooking with oil – 100% oil free! Yet, it still delivers that great crunchy goodness of crisp fried food. It features an extra-large door with EZ view window, 10 chef-at-a-touch modes, RadiVection 360° Technology that rapidly circulates hot air in all directions, express heat system that cooks food up to 30% faster than a standard oven, and an extensive accessory kit. The GAF678 air fryer is proudly used and endorsed by world-renowned chef, television personality, health and fitness expert, and mom Cat Cora. 11-in-1 Deluxe MultiCooker (GWCM695)A spacious 6.5-quart one-pot wonder that does it all! From slow cooked chili to roasted chicken, sous vide, homemade yogurt, and more, this 11-in-1 MultiCooker takes cooking to the next level. Features include a simple display with presets and adjustable controls, large heat-resistant glass lid, and a recipe book. Nonstick removable interior pot assures there is no messy cleanup. One appliance, endless possibilities. 10-Cup Coffee Maker and Grinder (GCMW4750)This Gourmia Coffee Maker is exclusively designed for coffee lovers so they can make their favorite coffee-shop beverages in the comfort of their own homes! It includes a built-in grinder; powerful grind or brew combo that automatically transform fresh beans or favorite pre-ground blend into rich, robust coffee; programmable timer; LED display; 30-minute keep warm capability; and auto shut-off. Sleek stainless-steel body is paired with a 10-cup, crystal-clear glass carafe. 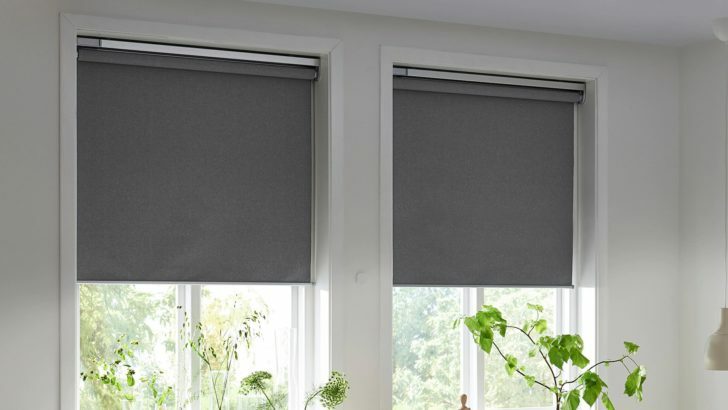 Ikea, a company known far and wide for its furniture and meatballs, revealed a new lineup of smart window shades at CES. Its 'Fyrtur' shades will become available in April, and are powered by rechargable batteries. They can be controlled with Google Assistant or Alexa, and are priced at €119 to €159 (about $136 to $182). Exact U.S. pricing isn't available yet. If Google's Nest x Yale smart lock doesn't appeal to you, Lockly revealed its new smart lock at CES. The Lockly Secure Pro will cost $300 for the deadbolt model (or $330 for the latch model), and has five different access methods — a key, the keypad, the fingerprint scanner, the mobile app, and voice commands with Google Assistant and Alexa. The lock uses AA batteries, with an estimated battery life of one year. It's expected to ship in early 2019.